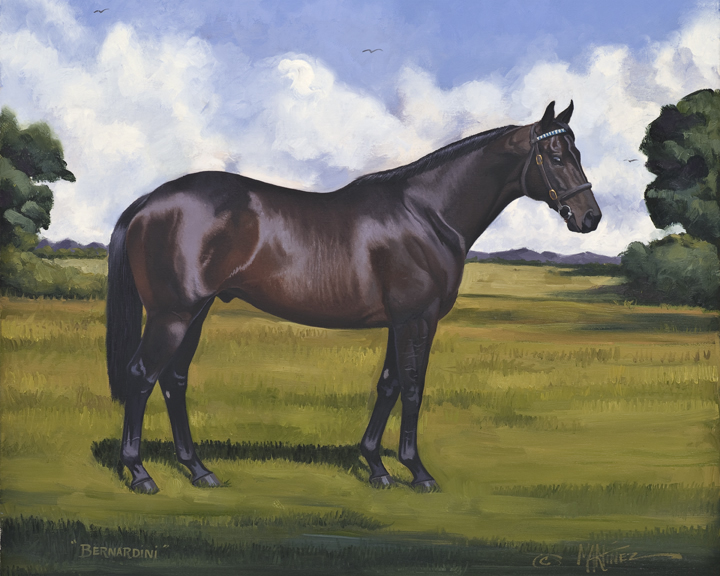 Nick Martinez Art » Products Page » Racehorses » "Bernardini"
Bernardini, an American thoroughbred, born at Darley stable and now stands there. He is the son of the great A.P. Indy. 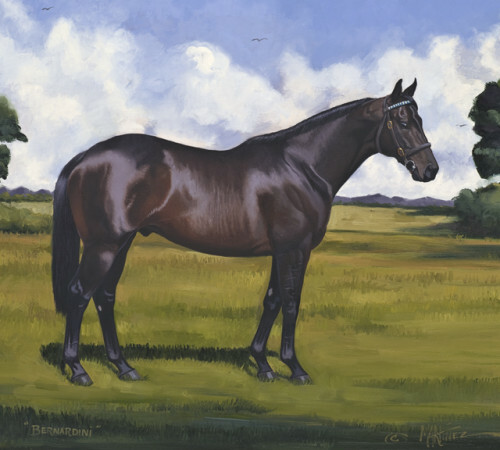 He had a decent track record, but he has surpassed his competition as one of the greatest stallions of this century.